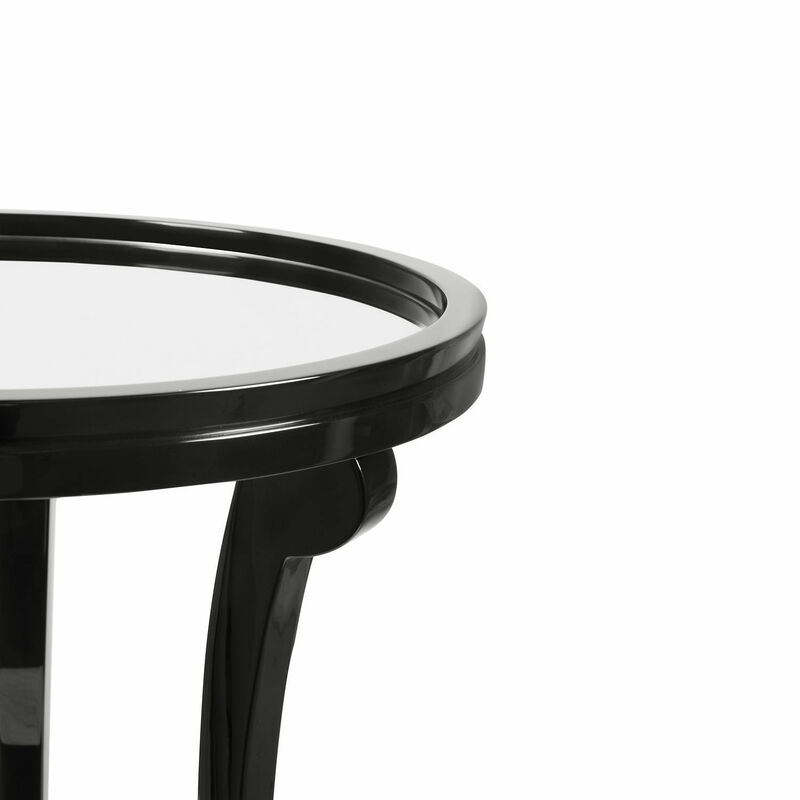 5th Avenue, in New York, inspired this sophisticated high-end piece: a truly elegant and stylish side table with a mirrored tabletop. 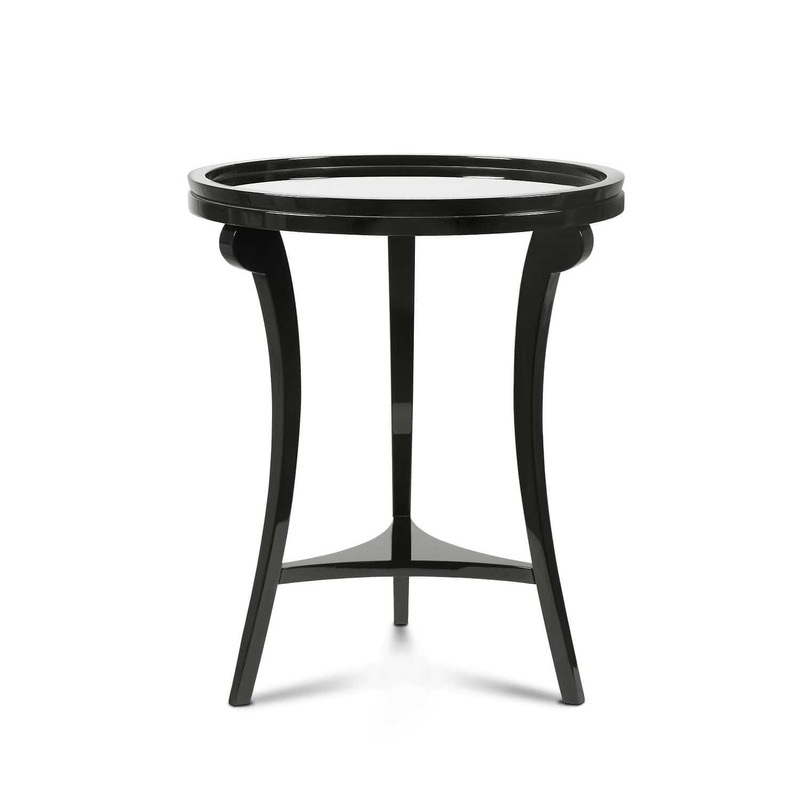 A round shaped top rests over elegant and refined legs that are joined together by an original structure crafted in solid wood, made from solid oak or mahogany. 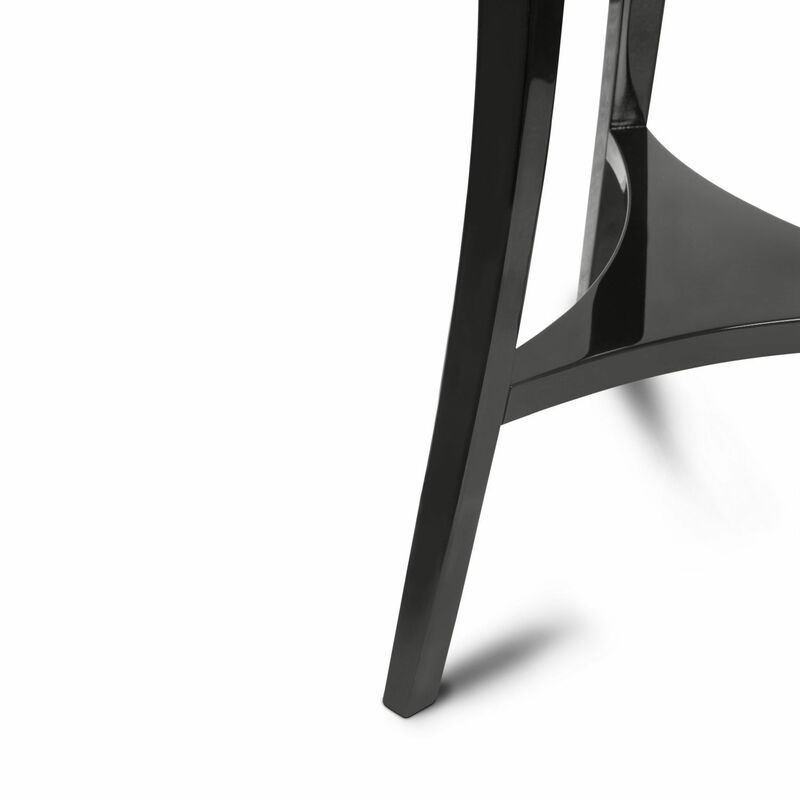 It will look perfect next to your favorite sofa! 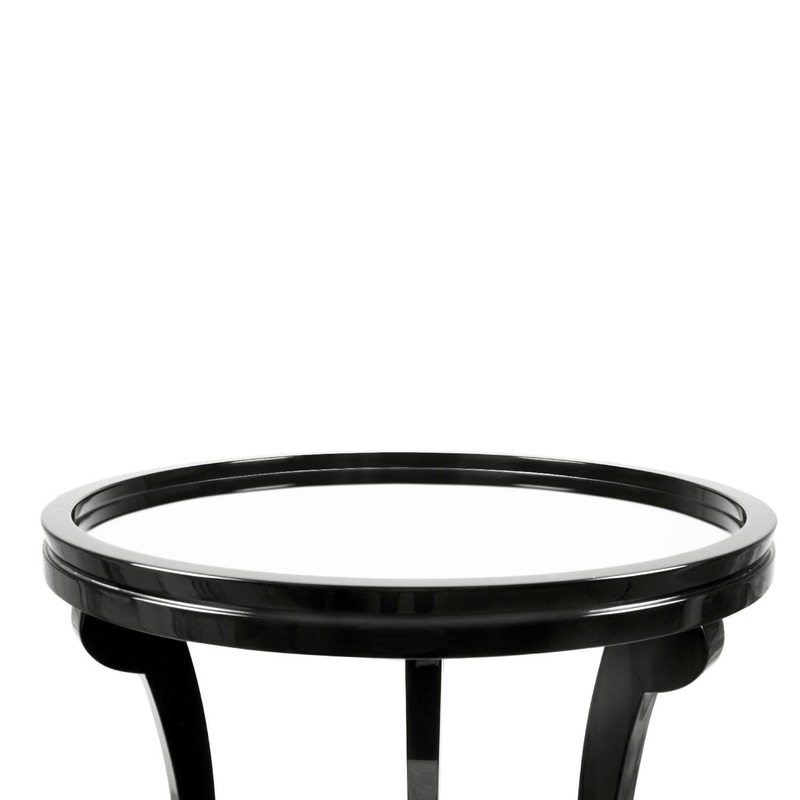 Additionally, it can be lacquered in two colors (white or black). 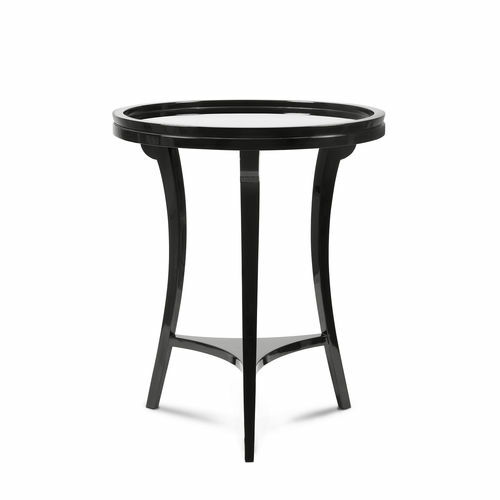 This elegant and sleek accent table will add sophistication to any interior space and can also be used as a modern coffee table.